Home→Data Mining→200,000 visitors on the SPMF website! Today, I will just write a short blog post to mention that the SPMF open-source data mining library has recently passed the milestone of 200,000 visitors. This is possible thanks to the support of all users of SPMF, and the contributors who have provided source code, suggested bug reports, and more. 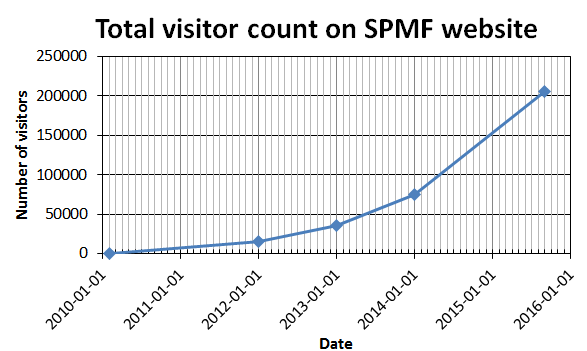 Here is a chart showing the growing popularity of SPMF. How to choose a conference for publishing research papers? How to give a good paper presentation at an academic conference?